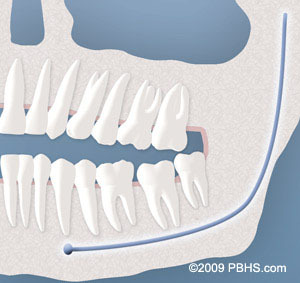 Although most people develop 32 permanent adult teeth, many times their jaws are too small to accommodate the four wisdom teeth. 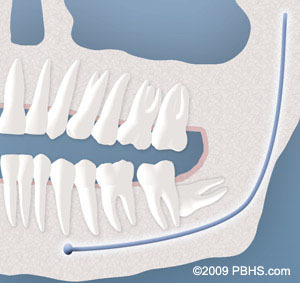 When inadequate space prevents the teeth from erupting they are called impacted. This indicates their inability to erupt into the proper position for chewing and cleaning. Soft Tissue Impaction: There is not enough room to allow the gingival tissue to retract for adequate cleaning of the tooth. Partial Bony Impaction: There is enough space to allow the wisdom tooth to partially erupt. However, the tooth cannot function properly in the chewing process, and often creates cleaning problems.